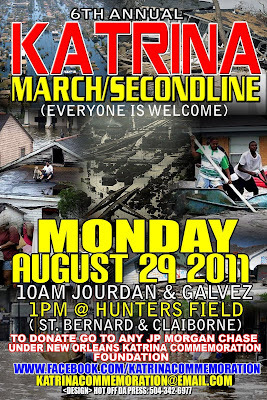 Join the Katrina Commemoration Foundation for a secondline/march Monday, August 29th. The march begins each year from where the levees broke in the Lower 9th ward at Jourdan & North Galvez, where people gather at 9am to remember those who died and carry on the call for justice. Then at 10am the secondline heads up Claiborne Ave. into the city and ends at Hunter's Field around 1pm. Hunter's Field is the park on the corner of St. Bernard Ave. & N. Claiborne. There will be food and live performances at Hunter's Field by: Young Sino, Sess 4-5, 5th ward weebie, Team SNO, Y. luck, Shack Brown Drill Team, Mia X, Partner's in crime, Mr.tony, Detroit, Kourtney Heart, Roi Anthony, Pallo DA Jiint, Asia Rainey, Zion Trinity, and Shawt. 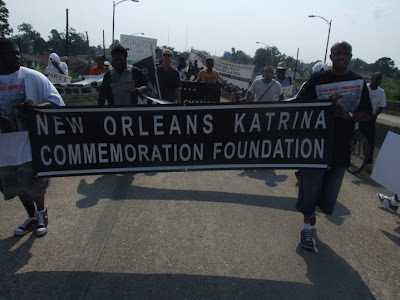 The Katrina Commemoration Committee will sponsor its annual march from the base of the Industrial Canal in the 9th ward to Hunters Field on the 29th of August 2011. Last year the prevailing thought was that the 5th year event was going to be the last chance to really make a statement because after that the media and others around the country/world would definitely move on to other events and disasters. That is probably true from a media marketing perspective, but for those of us that lived and are still living the disaster, moving on is not an option. The storm that brushed by New Orleans on August 29, 2005 was never the cause of the disaster. The shoddy work of the U.S. Government that led to the levee failures and flooded the city was only the beginning of our troubles. The real disaster began immediately after the storm when the city’s white supremacist economic elite and its “colored” collaborators decided to remake the city in their image, which strongly resembles a 21st century plantation. 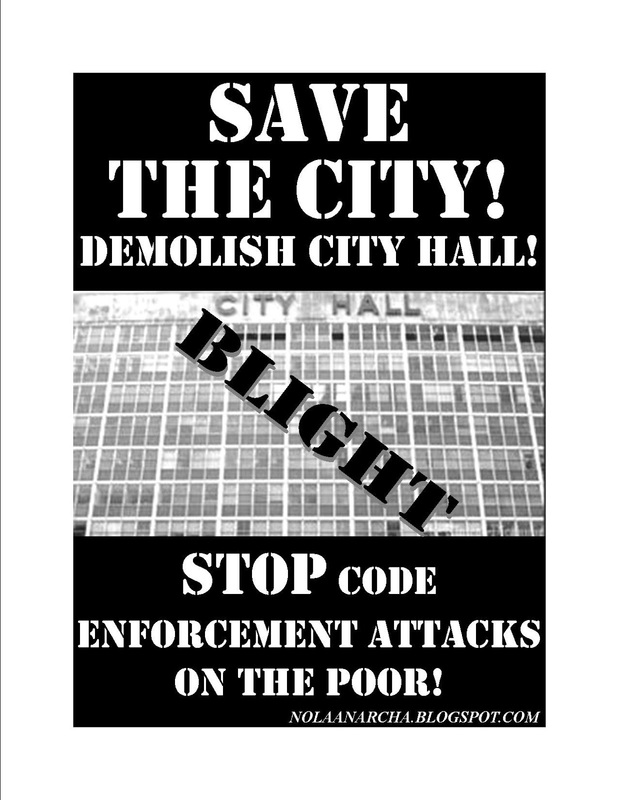 These collaborators which included the mayor, city council, head of HUD, and almost every black elected official, thought that the plan would only affect the poor, who they never represented anyway! 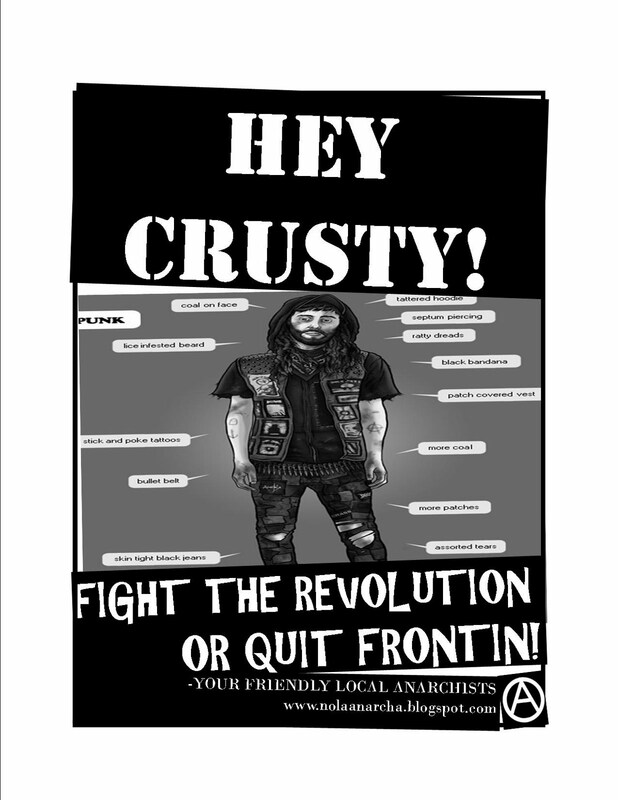 They were not only unprincipled, but pretty misguided in not realizing that the majority of people in New Orleans were working poor and anything that affected them would change all the power relationships in the city. 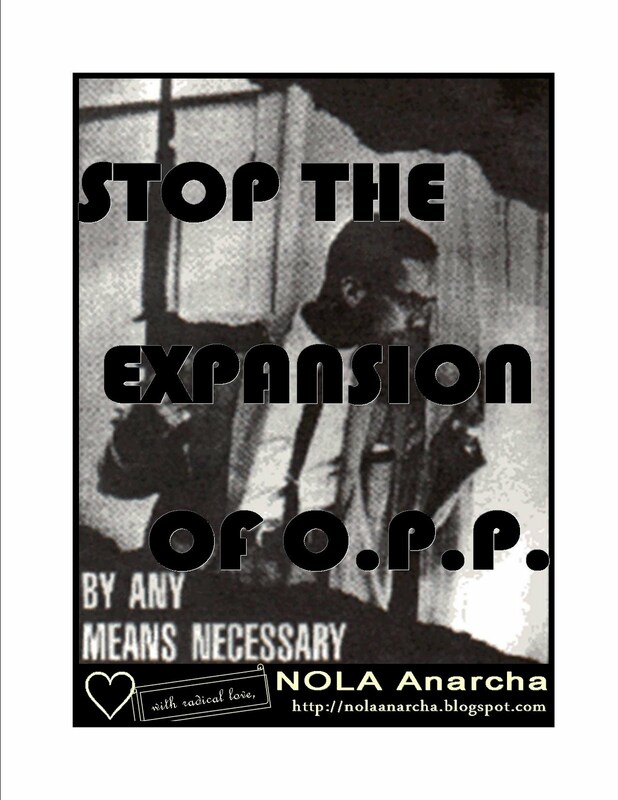 It started almost immediately with the governor labeling blacks in New Orleans looters and giving the police department and National Guard the power to shoot to kill. 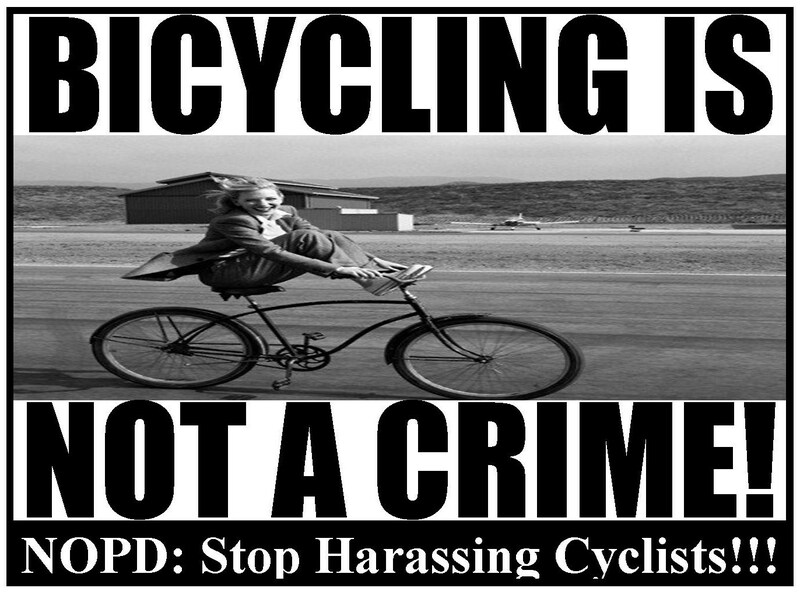 This was parroted by the then mayor. We now can see how that worked out. Then the state took control of the public school system, firing all the experienced teachers and breaking the union. This was done for the expressed purpose of privatizing the industry, so now profit is the goal, not serving the children. 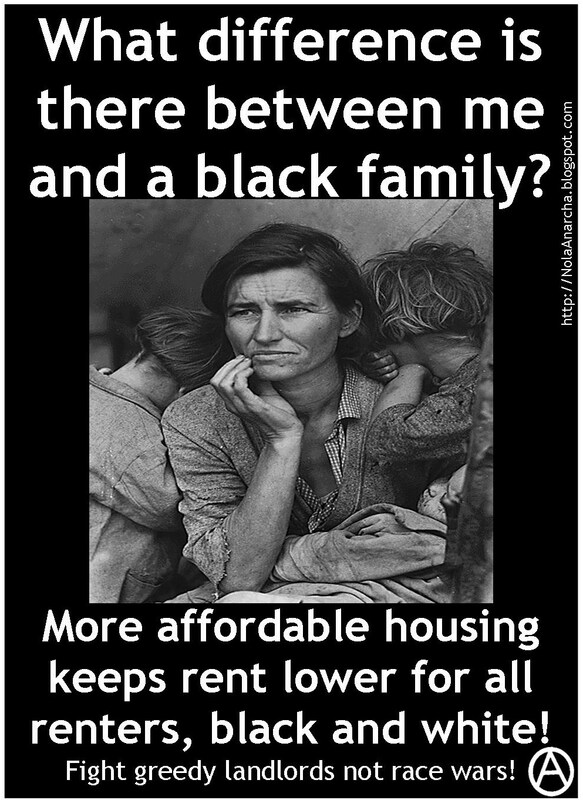 Than it was decided that certain areas in the city should not be repopulated; all of these areas such as New Orleans East, the Lower Ninth ward, and all of the traditional public housing developments were areas that were almost exclusively black and working class. Then the decision was made to not open the public hospital that was a critical life line for the black working poor community. 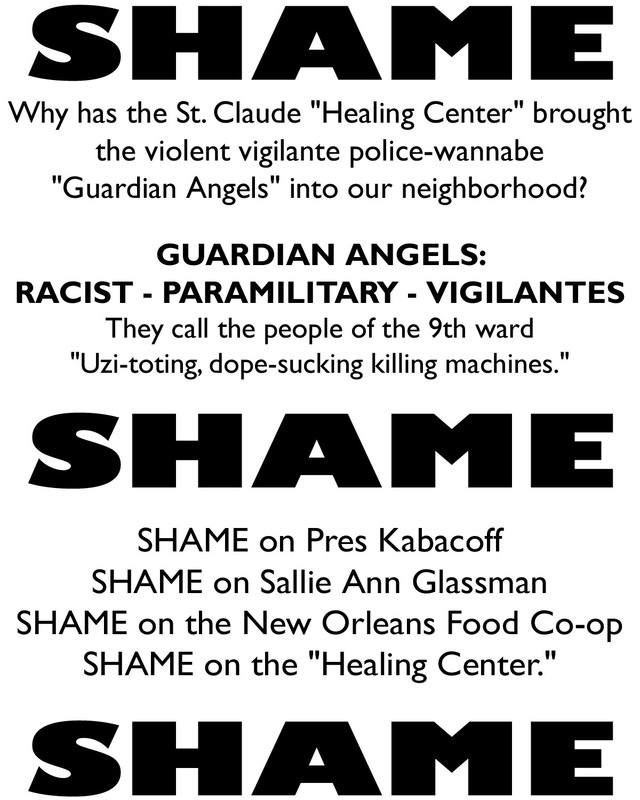 This is just meant to be a sample of what has happened to the city since the storm, as a native New Orleanian and a Black person, I could go on and on with examples of how sad it feels to be politically and economically powerless in my own city. Suffice it to say calling this a 21st century plantation is not meant to be a joke. All people that believe in social justice should make it a point to march on August 29th, we cannot afford to move on because the disaster is not over, its an on going living event that seems to get worse each year since 2005. Therefore we must march each year in order to remind ourselves that we are in a fight and cannot rest!! 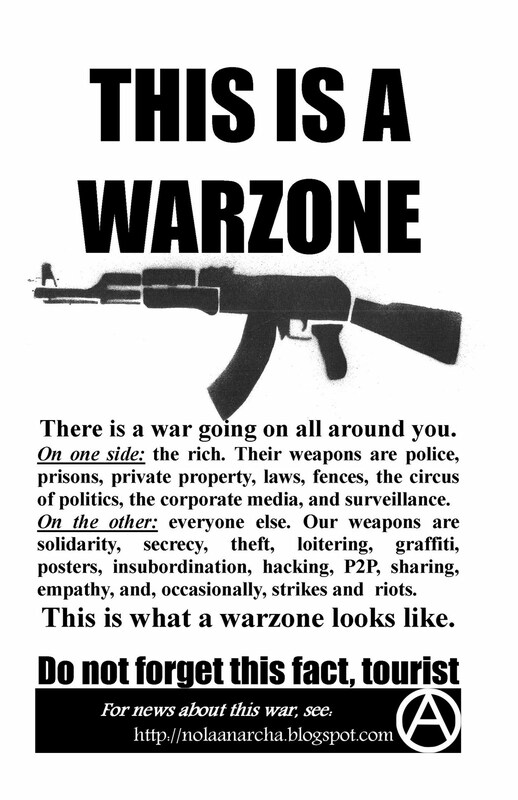 We have lost many battles, but the war is ongoing and we must not quit! I hope to see you at the levee breech on the 29th!